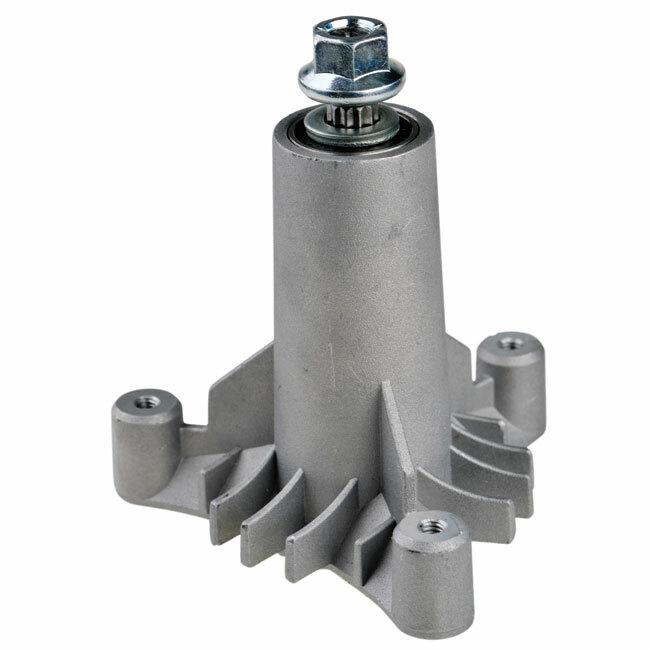 ProGear manufactures high quality replacement spindles for AYP products. AYP 130794 fits 36″, 38″ and 42″ ventilated decks. Star blade mount. Spindle assembly for AYP 130794. We are dedicated to providing high quality spindle housings to OEMs around the world. If you are an OEM in need of container quantity spindles or lower volume, just-in-time delivery, please contact us today. If you are a homeowner or commercial cutter in need of individual AYP spindles, you can place an order through our aftermarket partner,Rotary Corporation, for fast and affordable delivery.